The profitability of your company is affected by your choice of an industrial shelving and pallet racks supplier. 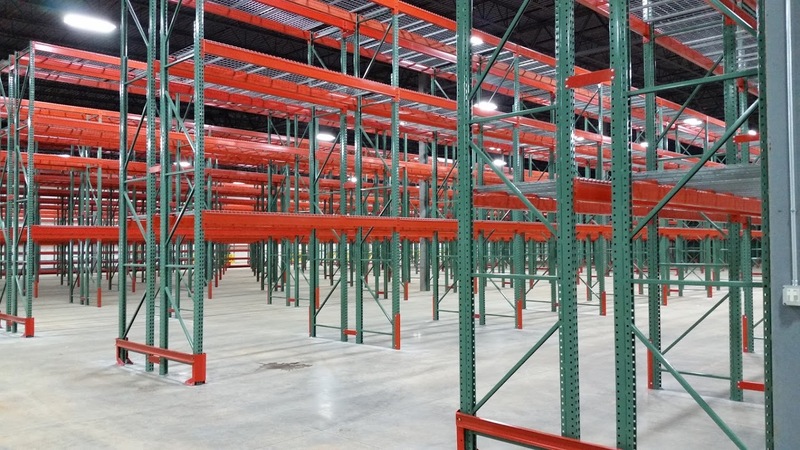 At Carolina Material Handling, we pay close attention to the total costs and only carry pallet racking systems, such as Wireway Husky Racks, that are dependable, affordable and leaders in the industry. 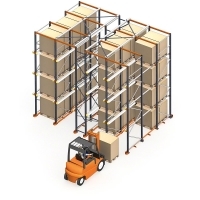 You should consider some essential factors when determining the best pallet rack shelving configuration for your warehouse. 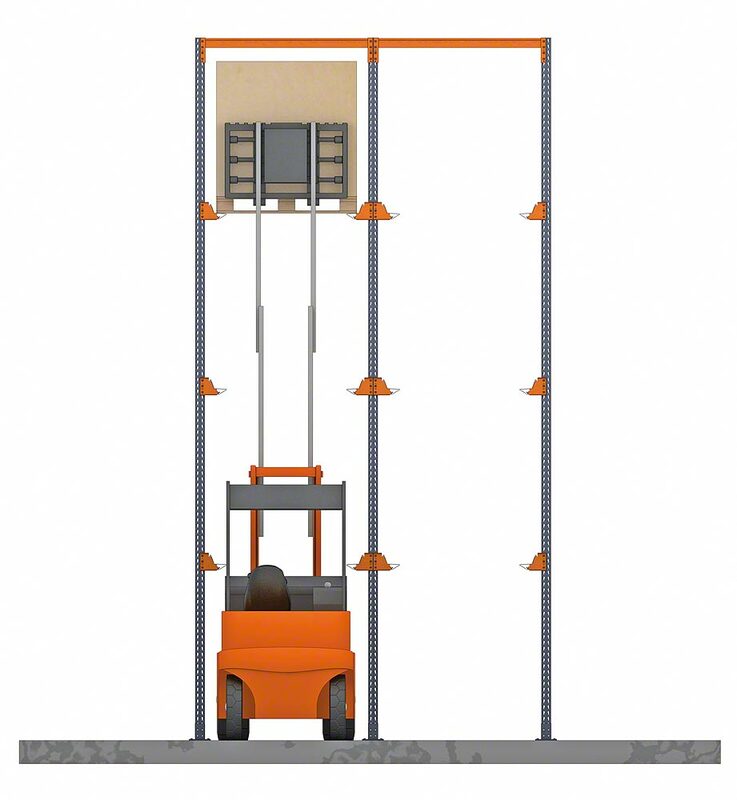 The types of storage items and inventory should be considered as different loading systems should be matched with specific products. 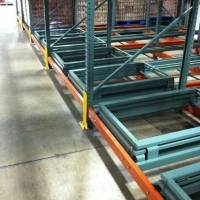 Food products must follow FDA regulations and use approved storage racks. 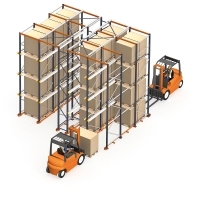 Your location may also require different equipment configurations. 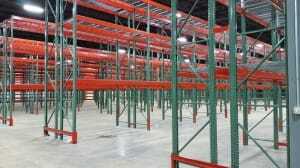 Carolina Material Handling can help you determine the correct choice for all your industrial storage needs. 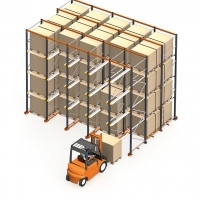 Our drive through, or drive in, warehouse racks are formations that are capable of substantial density storage. 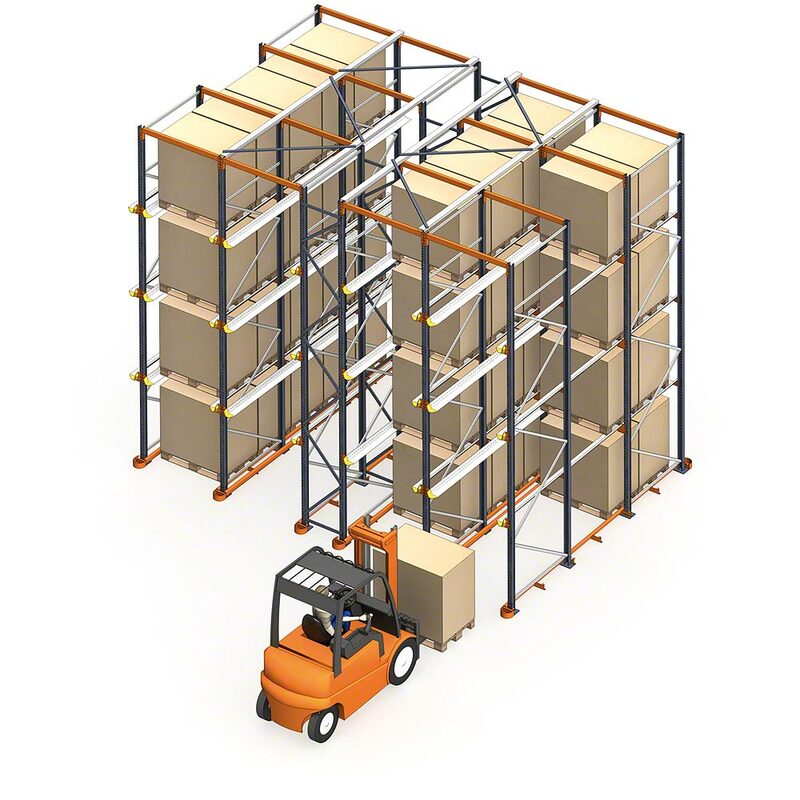 These structures are usually steel racks and allow a suitable amount of space for forklifts to maneuver through the bays. 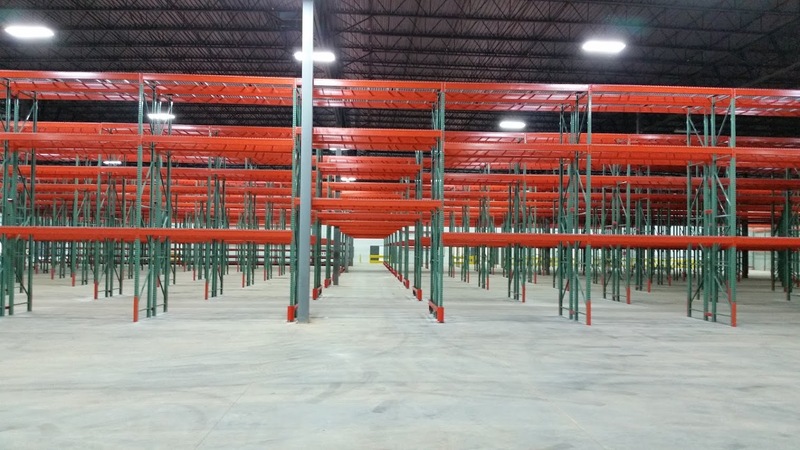 These bays are basically a line of stacks. 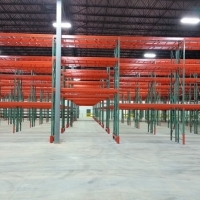 Carolina Material Handling offers a wide variety for drive through racking. 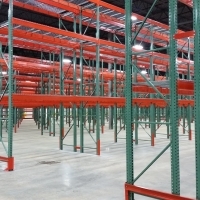 The most commonly used pallet system, selective racks, are accessible from the structure’s aisle. 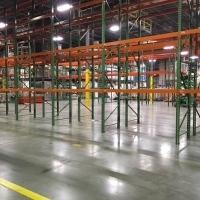 Beams provide support for these pallets and the system isn’t limited to one type of storage. 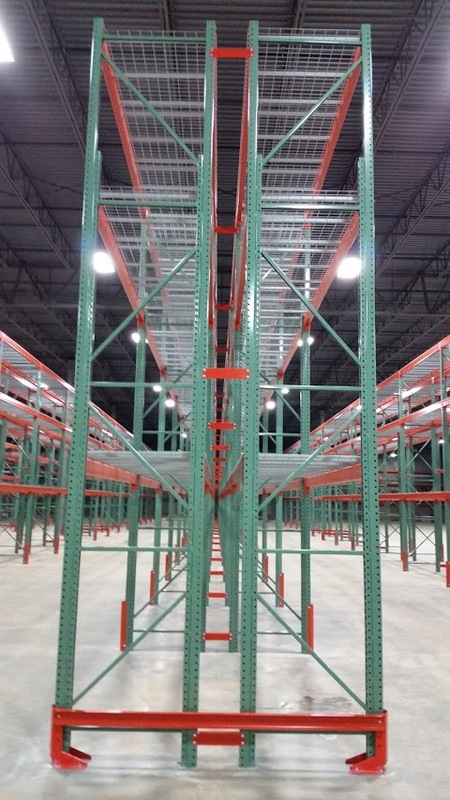 Standard, deep reach and narrow aisle racking use selective racks. 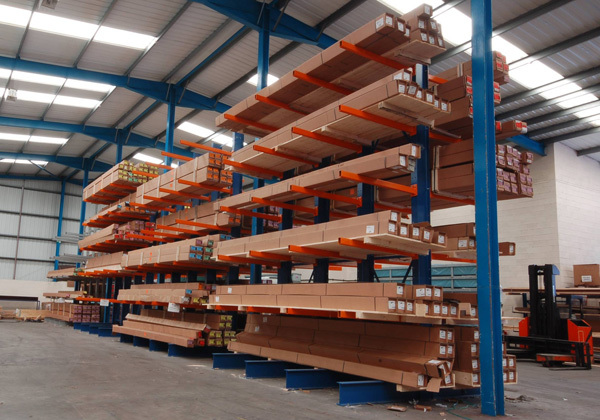 Selective pallet racking supplies direct access to each pallet in storage. 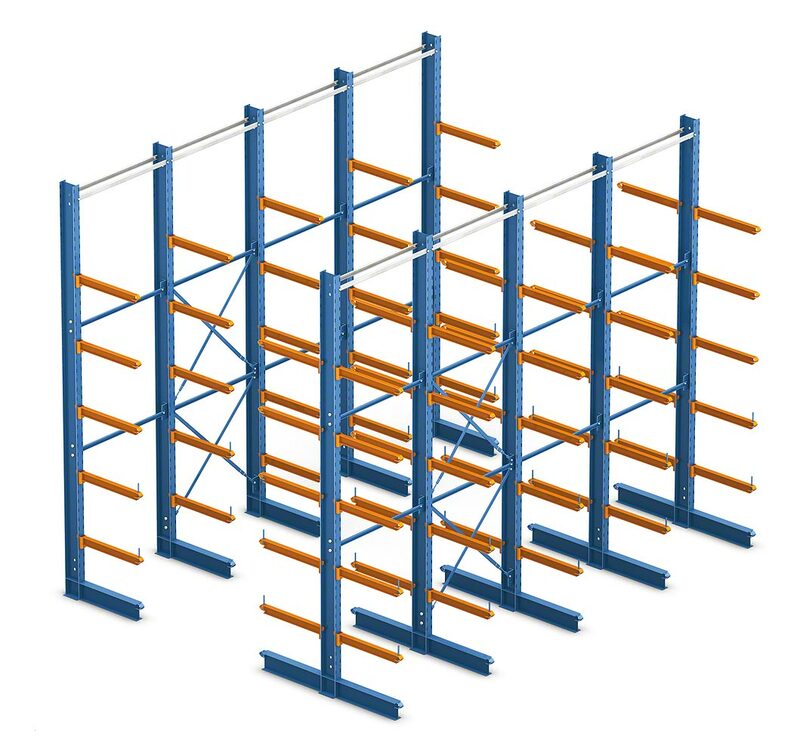 This type of racking is best used for high differentiation product lines and low turnover volume. 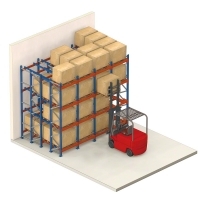 Push back pallet racks allow the storage of pallets 2 to 5 deep while still retaining easy access. 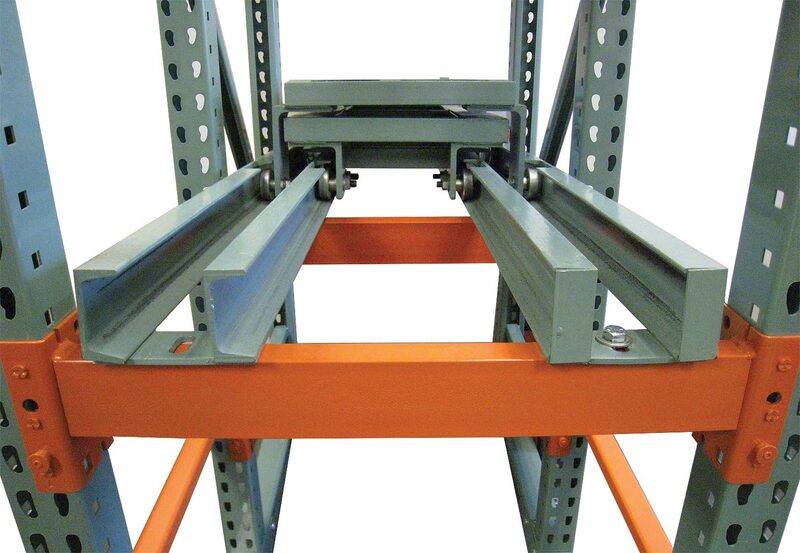 They provide interlocking carts that help to prevent jamming and product damage. 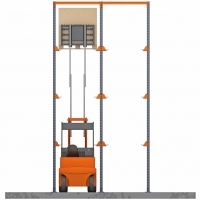 Forklift trucks do not enter the rack. 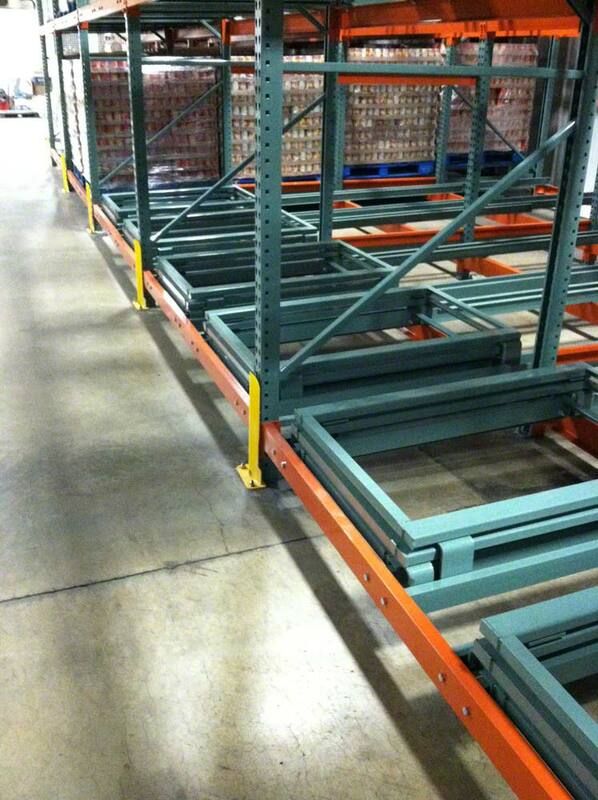 The first pallet lies on the top cart and and the second pallet pushes it back to rest on the second cart. 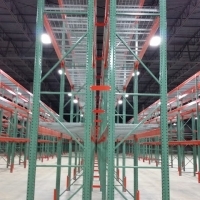 Cantilever racking systems are used to efficiently store oddly-sized, longer materials. Cantilever racks supply various storage solutions and are available in many different sizes and capacities. 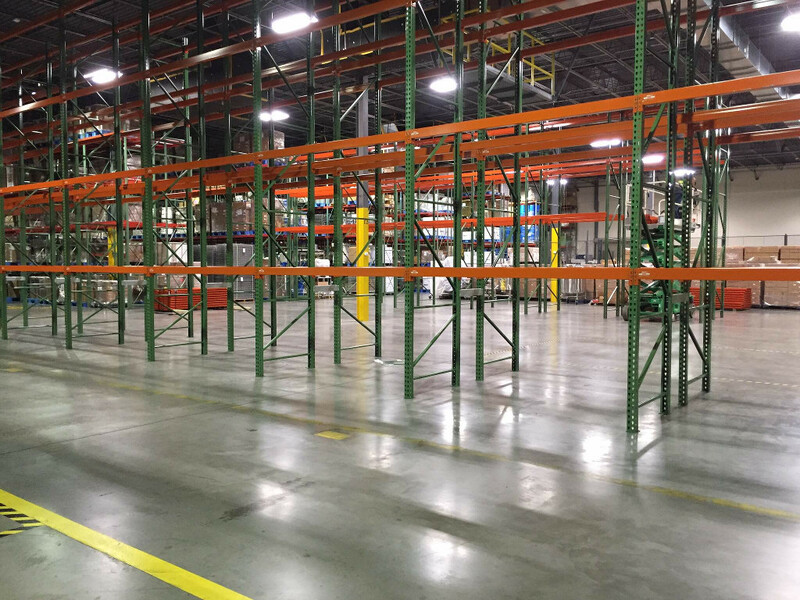 These pallet racks are fast to load and unload because there is no front column in the way. 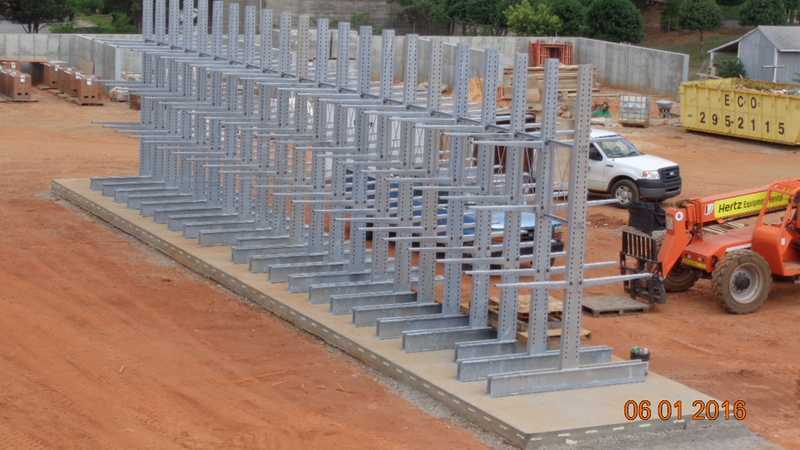 Loads can be arranged anywhere along the row. 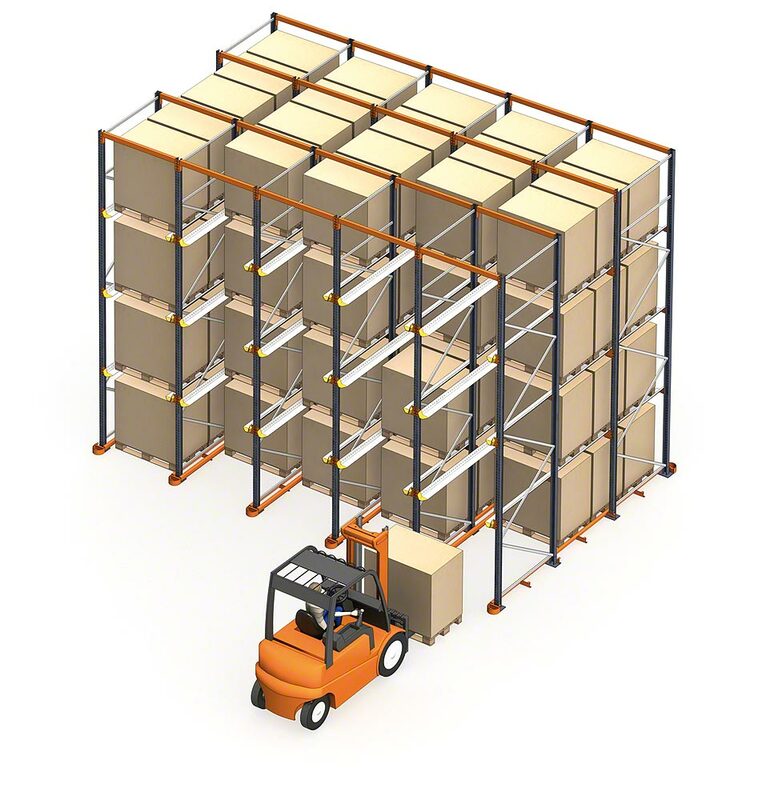 Carolina Material Handling provides innovative solutions for all your storage and handling needs. 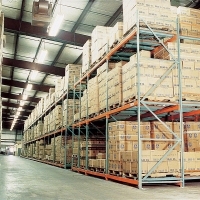 When it comes to pallet rack supplies, all of our sales specialists and employees are knowledgeable and able to help you solve your storage challenges. 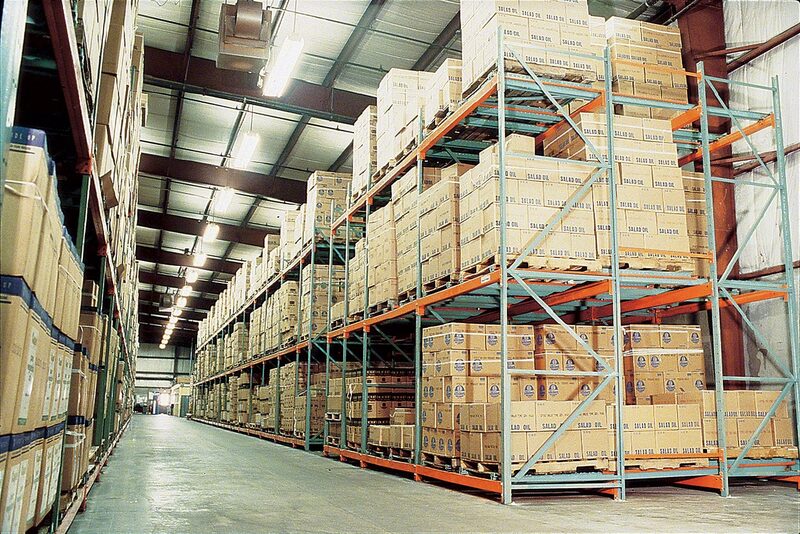 We provide storage solutions to the North Carolina, Virginia, South Carolina and Georgia areas. 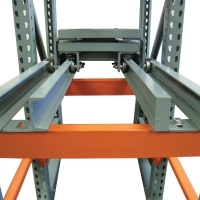 Call us or visit our catalog for pallet racking pricing.